Consenso de Críticos: No hay consenso dispnoble. 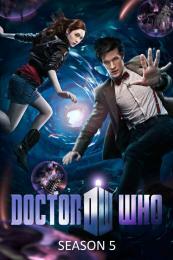 The TARDIS takes The Doctor and Amy to war-torn Britain in the middle of World War Two. Not only do they meet Winston Churchill himself, but the Doctor comes face to face once again with his greatest enemy of all. The Doctor and Amy emerge from the TARDIS to find the wreck of the Byzantium spaceship. Down below the Weeping Angels are stirring, but the Doctor has someone else to contend with; none other than the mysterious Professor River Song. Five years after finally leaving the TARDIS Amy and Rory now married, live in the quiet little village of Leadworth. But everything is not what it would seem.